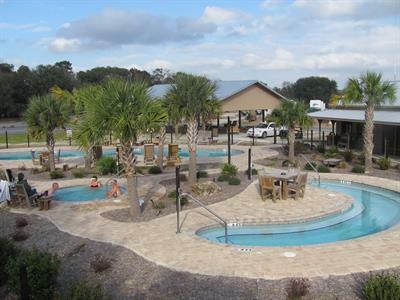 Suwannee River Rendezvous Resort and Campground lies far from the crowds of Orlando and Miami, a jewel of a park in north central Florida. Spend a refreshing vacation here surrounded by pristine natural springs, underwater caves and the world famous Suwannee River. The friendly park owners bring 50 years of experience in providing a remarkable camping experience and a memorable stay. It takes just a little time on the computer using the online system to make a reservation for your getaway. 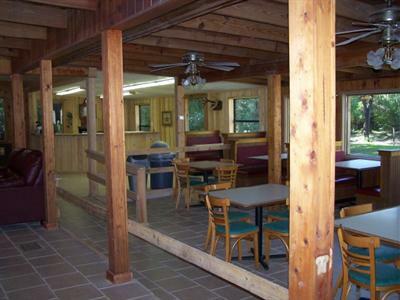 There are lots of options for your accommodations at Suwannee River Rendezvous. In addition to tent sites and water/electric and full hookup RV sites, there are motel rooms, lodge rooms, an A-frame house, log cabins and a chalet. Large oak trees shade the camp sites and picnic tables give the opportunity to enjoy the view along with your meal. A clean bathhouse with hot water and a laundry room provide the comforts of home while relaxing in the outdoors. The lodge is an inviting place to sit back and mingle with other guests. If you can tear yourself away from the gorgeous scenery, there's free Wi-Fi and a computer with Internet access and games. Our three pool complex is heated and open all year. So plan on soaking in the hot tub in January, Bring your appetite to Grandma Susie's Cookin' Shack, where they're whipping up pancakes, burgers, chicken, pizza and more, Friday through Sunday. The rest of the week you can stop in for ice cream and drinks. After a scrumptious treat, get ready for entertainment, games and sing-a-longs. On Friday nights, guests are invited to play Bingo and follow up gather 'round with musical instruments and participate in a campfire songfest. Saturday starts with a Pigeon Classic and ends with Chicken Poo Bingo. Gotta see it to believe it!! Got a good memory for trivia? Enter the contest on Saturday night and you might win a tasty prize from the Cookin' Shack. Show off your vocal talent during karaoke sessions on Saturday night and dance along to live music on the last Saturday of the month. 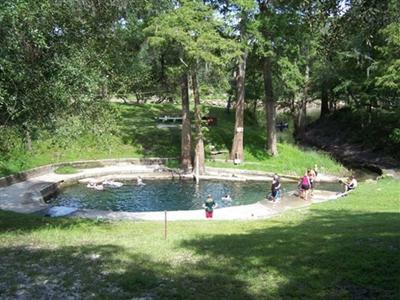 Join the gang at Convict Spring, a fresh water swimming hole located onsite. It's named for the prisoners who camped there in the early 1900s while harvesting turpentine from the pine trees. Splash along with the small fish and turtles that call it home in water naturally heated to 70.5 degrees all year. 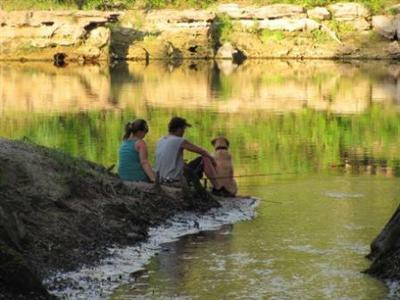 Pick up a canoe or kayak to paddle the Suwannee River. The park has watercraft rentals and offers popular trips on the river. Fish off the boat ramp for bass, mullet, bream and channel catfish.